It’s always a strange start to a conversation. There are a handful of acceptable answers to that question at my age. Business school is a popular one, or better yet, nursing. Then there are the real go-getters; pursuing law or medicine, and also the passible flight attendant and aupair. These answers are rewarded by amiable nods and appropriate accolades. My reply, Fashion School, is generally met by squished together eyebrows. Some people ask me, "What that’s like?" I usually make them tell me their perception first. I dunno, do you, like, draw pictures of clothes and stuff? It’s a popular guess, and to some degree accurate. Drawing is involved, and “stuff” does happen. I’m a freshman at New York’s Fashion Institute of Technology (F.I.T), where my major is Fashion Design. I plan to specialize in Special Occasion/Evening wear in my junior year. Here’s a look into the last three and a half months of my life at F.I.T. Course Discription: Students learn the fundamental and advanced techniques specific to fashion design using relevant software such as Adobe Photoshop and Illustrator. 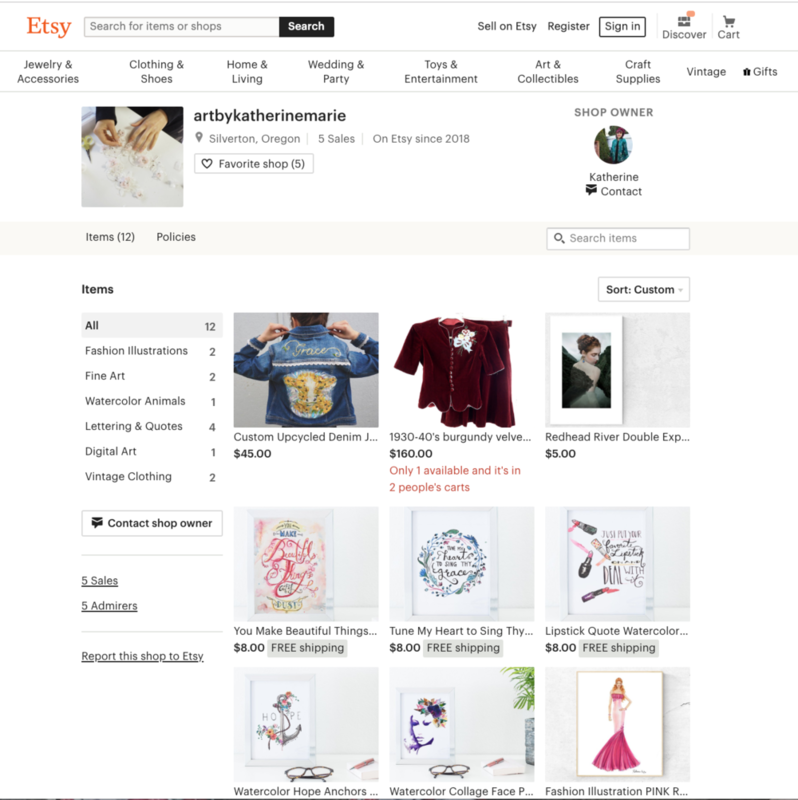 Course assignments emphasize digital design development sketching techniques, color stories, line planning, silhouette, and fabric design. I had Christopher Musci for this class. He’s young for a professor, but has been working at the top of the industry for more years than he’s been eligible to vote. From working as Hillary Duff’s personal assistant to helping launch Urban Decay, to collaborations with his partner’s fashion design house, he’s seen all sides of the industry. He was also extremely helpful with advice outside of our homework; from where to get cheap groceries in New York to what kinds of internships we would most benefit from individually. We manipulated images in photoshop to create a cover page, or mood board, that would introduce the "vibe" and colors of the collection. We chose a picture on the internet of a model wearing a white outfit and then inserted our own prints. September, 2017 -- Our first project in Digital design was focusing on the use of Adobe Photoshop to create print-motifs or "fabric designs" and lay them out in a professional layout including a "mood board" and color story. Our instructor gave us the theme, "Motion and Emotion," along with about 100 photos to draw inspiration from. 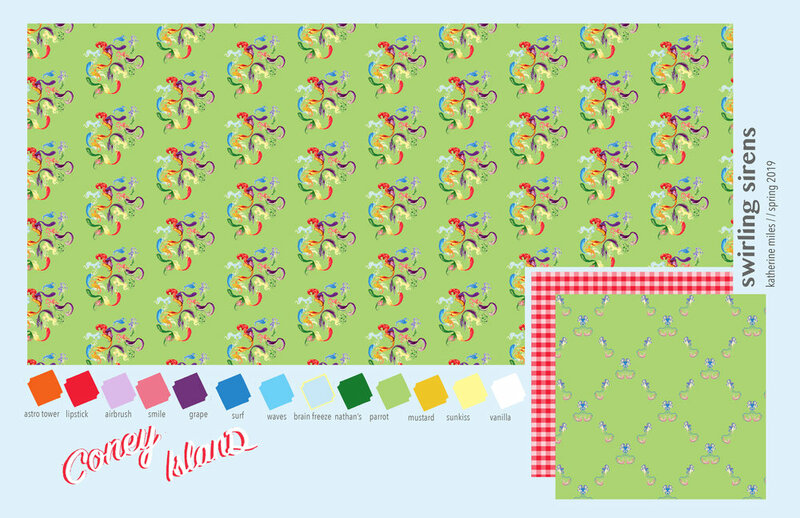 We had to design a woven stripe and plaid and other prints using photoshop to create motifs. After we developed our prints, we took an image of a model wearing something white and photoshopped our patterns onto it. Professor Feedback: Mood Board design images are nicely curated, edited, and composed in a composition that creatively communicates your design concept. Color story is diverse and well edited. Surface designs motifs are creative interpretations of mood board imagery and successfully placed in repeat. Color story is nicely explored in developing multiple iterations in different colorways. Surface design studies accurately depict scale and drape but could be better executed in terms of clarity of silhouette. You have so much strong content that complicated page layouts are not always necessary to communicate attention of detail. Some of the pages are too busy and the content doesn’t always read first and foremost. October, 2017 -- In our next project, we expanded on Project 1 by creating more complex patterns and using our own images from the theme, "New York." I am obessed with Coney Island, if you haven't noticed, so I ended up going for juicy colors and playful prints which I thought matched the "Coney Vibe." In this project, we had to use our own illustrations for the models and use our own designs to display the prints. We also learned how to upload our own artwork and drawings to create textile designs. In the last half of the project we created techical drawings, called "flats" to explain the contruction details of each garment. An example of artwork I created with markers, then uploaded to photoshop to create prints. Professor Feedback: Every phase of your project demonstrates your love of the design process! Mood board is rich with inspirational detail without being too fussy or too busy. Typography captures over the top character of Coney Island. Color story board creates a diverse and very well edited color story. Again, lots of detail without being too busy –– just the amount of breathing space within the page composition. Prints relate strong to concept; they are more sophisticated than kitsch, which is appropriate for your target market. Illustrated figures and looks are a strong follow-up to what is promised in Mood Board. 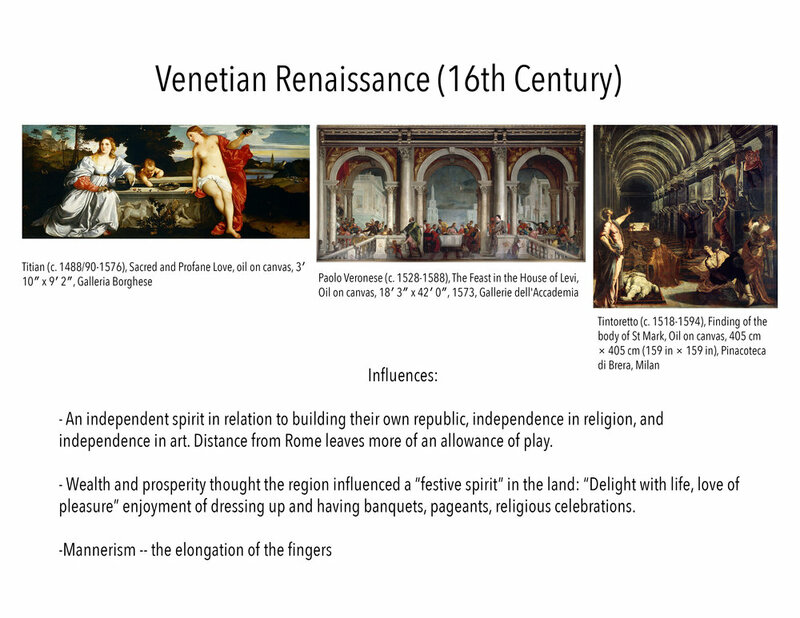 Page presentation exhibits much more control of graphic elements maintain the content as the focal point. November, 2017 -- In our final project, we chose a designer and a major company/organization and using Adobe Illustrator only, created a collaboration packet, drawing inspiration from both companies to create one outfit with all of the merchandising pieces, including a woven label, hang tag, promotional materials, logo, shopping bag, and specialized textile design. I chose an FIT graduate who was born in India and an organization that combats human trafficking that has a major base in India. I wish I would have spent more time on this project -- but it happened to be finals week and I was starting a new job, so I wasn't very happy with how it turned out, but I did learn a lot that I am excited to apply to future classes. I really enjoyed learning how to use Illustrator because you can do a lot more with it than Photoshop once you know what you're doing. I'm far from being confident with the program, but it was really cool learning a few things! Course Description: This course introduces fashion design students to the basic principles and techniques of draping in fabric as a means to creatively interpret and develop contemporary designs. 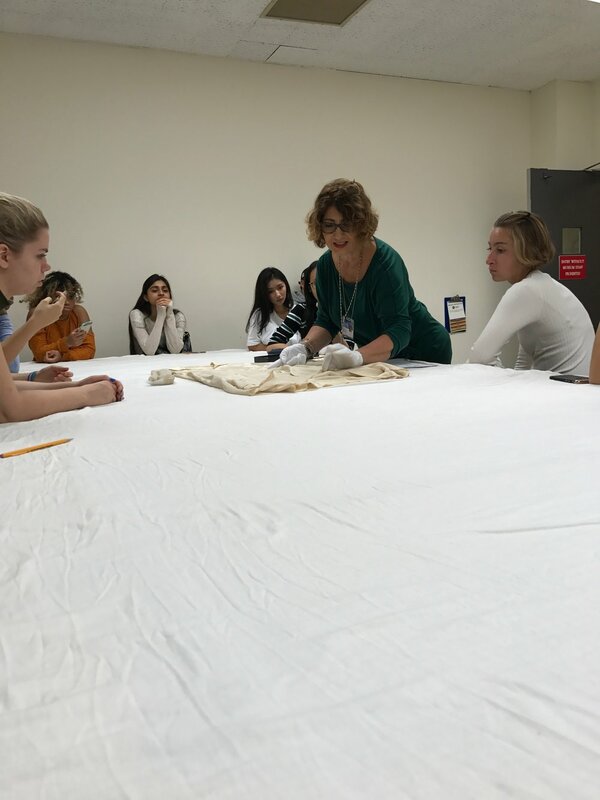 An emphasis on proportion, balance and shape as related to design aesthetics broadens students' understanding for actualizing and realizing three-dimensional design prototypes through manipulating muslin. Our class was taught by Professor Lant, who was once the creative director at Christian Dior. She reminded me of a mother hen with her whispy auburn bob and her Italian gestures that gathered us about her nest of a lecture table, vividly illustrating what she was lecturing on. She stayed with us for hours past the end of class. “I can’t leave you until I know that you know,” she’d say. Other times she would wisp her hair in disdain, “No. No no. This won’t do. Won’t do at all.” I saw her yesterday and she still remembered my name. My friend, Foster made this really amazing version of a princess-line, flare-sleeve dress! 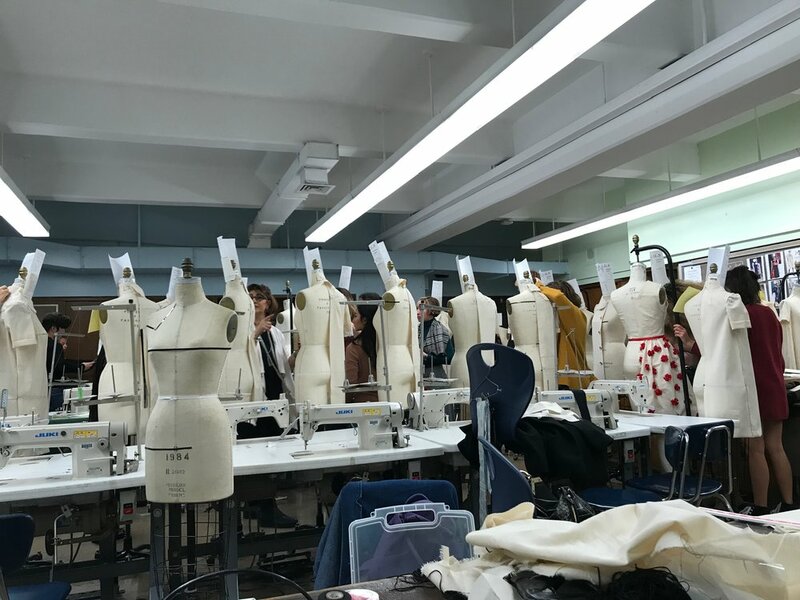 Course Description: As related to the fashion designer, course stresses hands-on construction, cutting, and finishing techniques for creating garment prototypes. It introduces materials (cottons, wools, interfacings), core characteristics, and handling. Visits to MFIT study rooms/exhibitions provide further opportunities to explore the influence of fabrication choices, construction details and techniques on silhouette development. At the beginning of the semester, we spent a few weeks learning how to do different types of seam finishes and hems. We created a "sampler kit" with about 8-10 samples that we can reference in future projects. 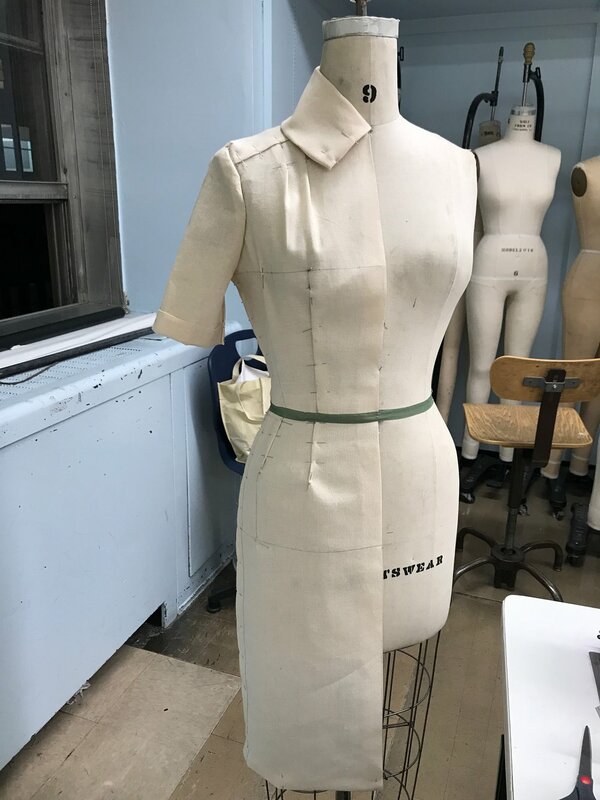 The rest of the semester was dedicated to creating a tailored women's blouse and skirt following industry standards. This class was a professional approach to something that has been a major part of my life for the better part of 14 years now. Sewing is a language I have been trying to learn by jumping into an aboriginal tribe with no translator. It has been very frustrating to say the least, so I really enjoyed this introductory sewing class! It wasn’t just explaining how to do things most efficiently, but also the why. We were granted ample time to work on our projects so that we could do them correctly. And if I had a question, I simply asked. I didn’t have to wrestle with my garment for four hours trying to figure it out on my own. I can’t describe how liberating that felt. My friend Tiffany and I would often stay after class listening to Professor Sans tell us, in her Jersey accent, of her travels to Asia when she was working with factories there. Tiffany grew up in China, so the two of them could rattle back and forth about cuisine and culture and I would listen with wide eyes. I’m so excited to get more comfortable with sewing. Most designers don’t sew at all in the industry, but I think it’s really important to know as much as you can about sewing so you can plan a very thoughtful construction for your garments. Course Description: This course teaches students to understand, analyze, and draw the female fashion figure, front, turned, and back views. 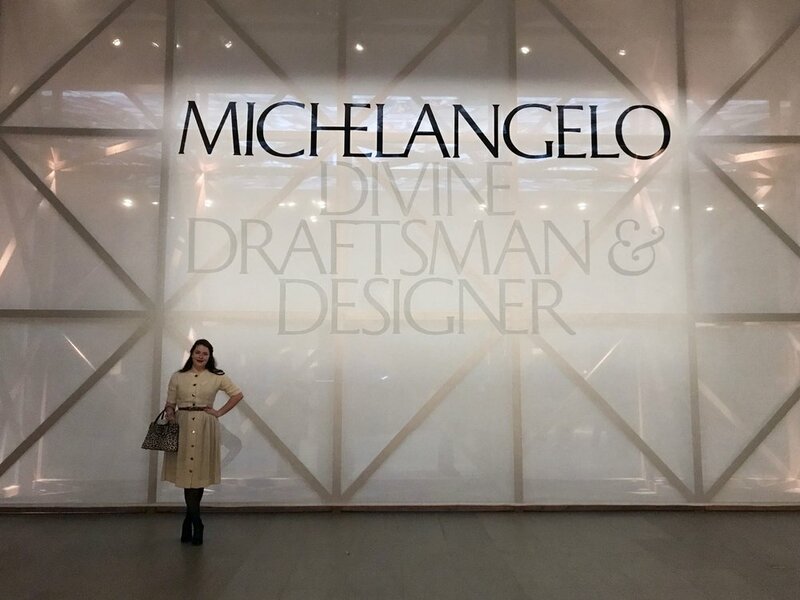 Students learn how to communicate their design ideas in a fashion sketch through garment details, silhouettes, and color theory. Acquiring skills in design development sketching enables them to create simple design groups. We spent the first several weeks of the semesester learning how to draw the industry-standard 10-head-tall fashion figure and studying anatomy to help us understand the drape and fit of clothes and how to draw them. We drew everything by hand, but were allowed to use photoshop to create presentation layouts. We also collected fabric swatches for each design, but I forgot to take pictures -- I'll try to find them later. Our first project was to design 2 outfits inspired by sportswear to help us practice what we'd been learning about cylindrical perspective. In this project we had to design mix and match separates that could all be packed into a carry-on and taken on vacation. Our theme was "Inspired be Nature," so I chose the vein-like shapes you see in butterfly wings and leaves as my inspiration. In this project we were supposed to imagine going into a job interview at Chanel with a capsule collection that could appeal to a younger market while remaining true to the brand. Course Description: Study of textile materials with an emphasis on the factors that produce a successful apparel fabric. Fabric characteristics such as appearance, drapability, hand, and performance are studied. Fabrics used in Fashion Design are also studied. This was my only "textbook class." We learned about the chemistry and structure of fabric and fibers and how it it produced in the industry. We also had labs where we learned things like how to identify fabric by the way it burns, or how to test fabric durability. We even spent a day in the knitting lab learning how knitwear is created! 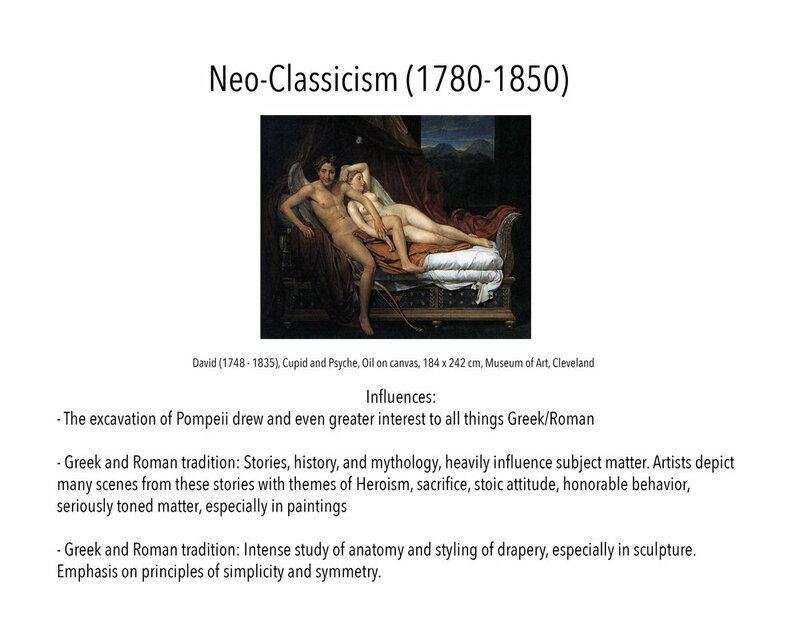 Course Description: Presents the history of Western art and civilization from the early Renaissance to the modern era. 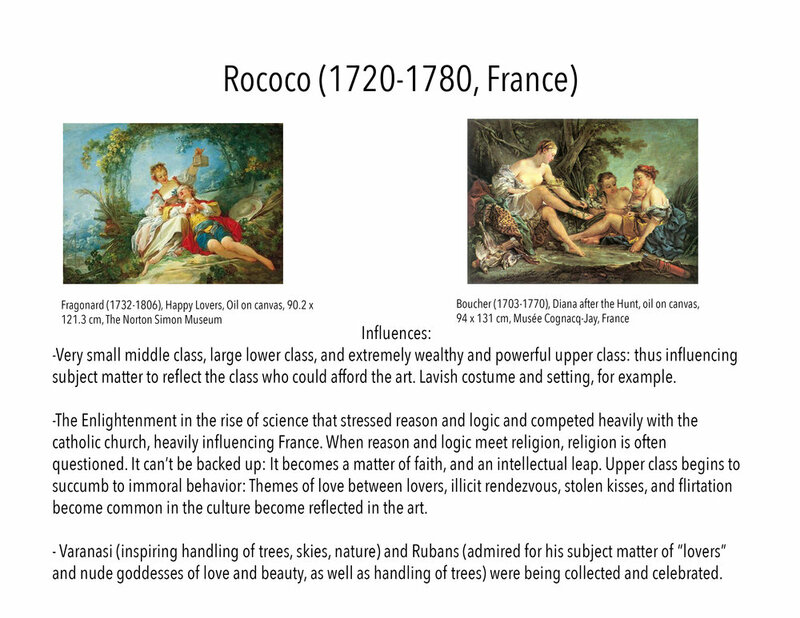 Illustrated lectures explore painting, sculpture, and architecture in relation to pertinent religious, political, economic, and social conditions. Our professor for this class, Trudy Grace, does not believe in tests. She didn’t just profess art, she preached it. For her, it’s much more important that she can see us arranging our own thoughts instead of simply circling the letter that we agree matches hers. So consequently, this was another project-based class that helped us create a working portfolio rather than a checkered scantron grade sheet. 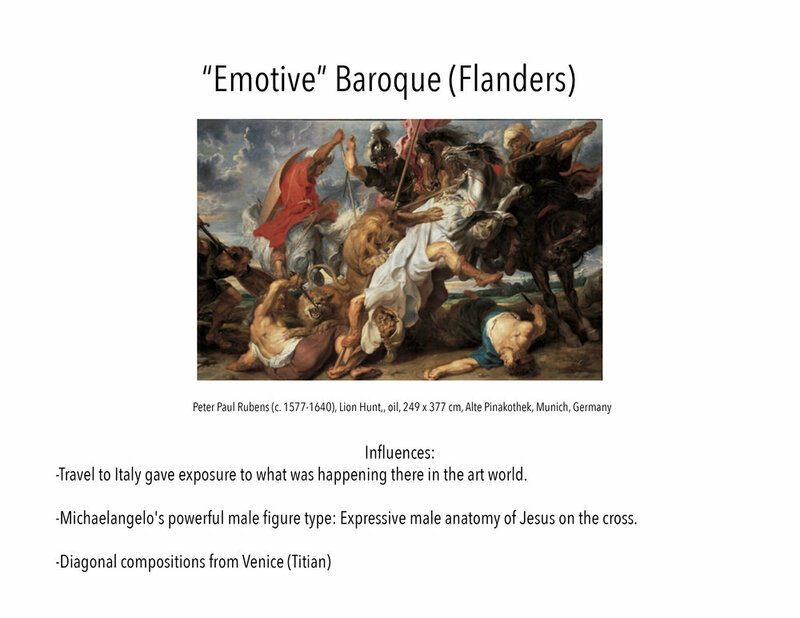 We submitted a gallery of artworks we viewed in person at the MET (Metropolitan Museum of Art) and had critiqued with essays arguing whether or not each one was a successful work of art. 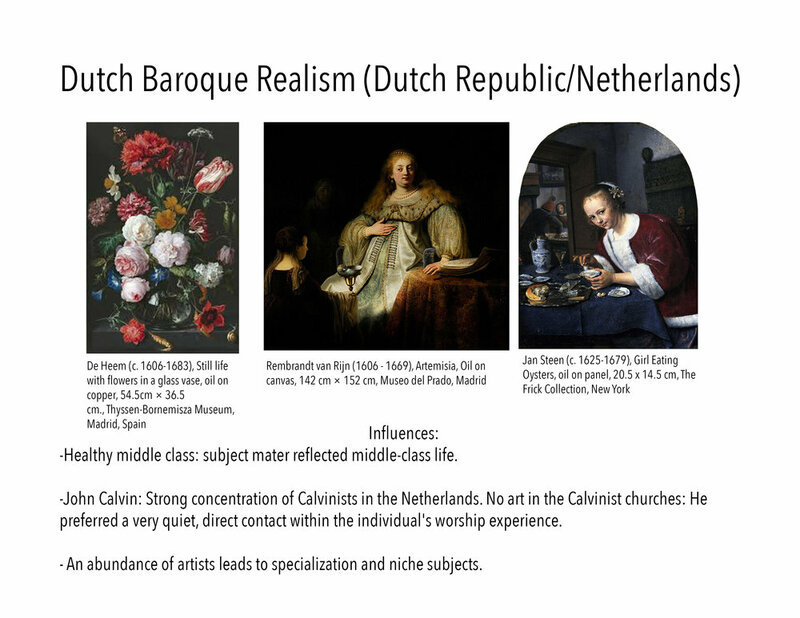 The other assignment was creating a packet of visual and written examples of influences upon each era in art regarding the artists that we discussed in class. Even though this class wasn’t directly related to my major, it was one of my favorites. The work took time, but it was time spent researching instead of studying. It felt more fun than forced, especially with access to one of the continent’s best art museums at our disposal. Fashion School is hard! It’s exhausting and frustrating and sometimes you want to pull your hair out. But it’s also freeing and exciting and the most incredible blessing I’ve ever been a part of. So now you know what my classes were like. But what about life as a fashion student? What’s that like? Stay tuned for part two of my First Semester Review.